A BROOCH BELIEVED to have been looted by Vikings over a millennium ago has been found in the storeroom of a London museum. The treasure, a gold disc brooch, dates back to the eighth or ninth century. Its existence was only discovered recently. A lump of soil dug up at a Viking burial site in Norway was acquired by the British Museum in 1891, with the brooch buried deep inside. British Museum curator and Viking expert Barry Ager said his eye was caught by some metal sticking out of the soil and asked for it to be x-rayed, calling the discovery a ‘staggering find’. He told The Observer that it ‘shows the contact between the British Isles and Norway in the Viking period’. It had been buried in the grave of a prominent Viking woman and is believed to have been looted and brought back to Norway. Ager says that the craft shown in making the brooch was ‘very fine’. The British Museum found the brooch in preparing for a major Viking artefact display, which begins in March. 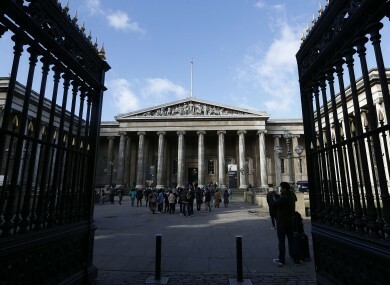 Email “1,000-year-old looted Celtic treasure discovered in British Museum storeroom”. Feedback on “1,000-year-old looted Celtic treasure discovered in British Museum storeroom”.